At our dental office in Long Grove, it’s no secret to our patients that we really love our jobs. Dentistry isn’t only rewarding because we get to boost people’s confidence and get them smiling again after smile transformations, but also because we help keep people healthy. To us, dentistry is one of the best careers out there. But how does a dentist become a dentist? Let’s check it out. 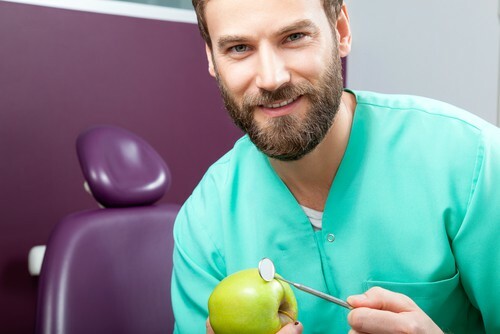 Before someone considers a career as a dentist, they should examine some of their interests and characteristics to ensure they’re compatible with what’s necessary for the job. For instance, dentistry is highly scientific, and the required courses dentists-to-be need to take are mainly science related. Because of this, someone thinking about dentistry as a career should have an interest and excel at science. Additionally, since a dentist’s main job is to monitor oral health, and then determine and perform proper treatment if there’s ever a problem, one considering becoming a dentist should care about the health of others and have a desire to help. Dentists complete, at a minimum, eight years of school and need to pass some exams before they can fulfill all the steps necessary to become a dentist. We’ve detailed them below. Finish a Bachelor’s Degree. While a Bachelor’s is usually required prior to getting into dental school, the undergraduate degree can be in anything. However, it’d be wise to explore science-related degrees or classes such as biology, physiology, and chemistry to get a head start. Take the Dental Admissions Test (DAT). Taking this exam, and scoring well on it, is required before applying to dental school. Complete a Dental Degree. Whether it’s a Doctor of Dental Surgery (DDS) or a Doctor of Medicine in Dentistry (DMD), a dental degree will require at least another four years of schooling. Pass Your Boards. All states require dentists to pass the National Board Dental Examinations before practicing dentistry. Other requirements may be necessary and vary by state. Nobody wants to prepare for a career where there are no jobs available. Thankfully, dentistry isn’t one of those occupations. In fact, the U.S. Bureau of Labor Statistics projects an 18% job growth for dentists through 2024 — more than twice the average growth rate for other jobs. At our Long Grove dental office, we would encourage anyone with an interest in our field to explore what it takes to become a dentist and what the job could look like in more detail, and if it sounds like a good fit, to take the plunge and become one. Accepting patients from Long Grove, Buffalo Grove, Lake Zurich and the surrounding areas.